DISCRETE VS. JOYFUL PRINTS! 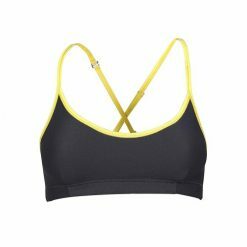 Galeão sports bra has fixed cups and its cross-back narrow straps make this outfit even more beautiful. 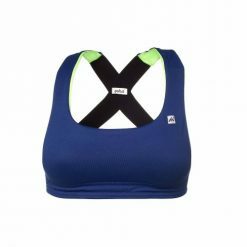 GALEAO SPORTS BRA – DISCRETE VS. JOYFUL PRINTS! 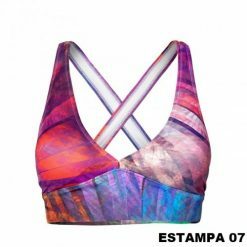 Galeão sports bra has fixed cups and its cross-back narrow straps make this outfit even more beautiful. It has five different prints, some are vivid and others more discreet. The prints match perfectly with Nordeste shorts (prints 19, 25); Guia capri (prints 19, 23, 24,25); Janga skirt (prints 19, 23, 24) and Flamengo wind jacket (picture 19). 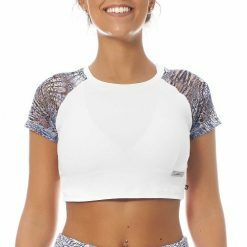 All printed sports bra and respective outfits that match with them are unique due to the positioning of the fabric during the cut. 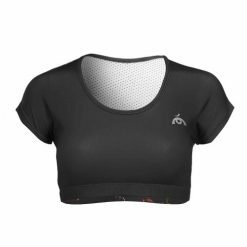 Suitable for all sports, it offers good support during workout.